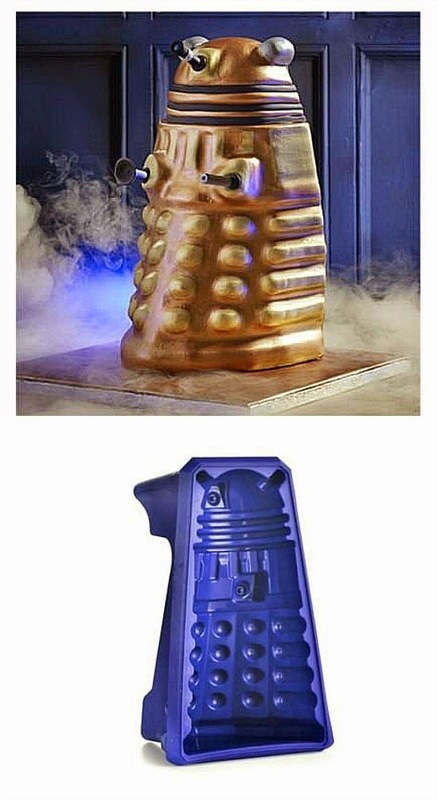 If you're stuck for a good theme idea for a party (for kids or adults) then you may not have considered Doctor Who. 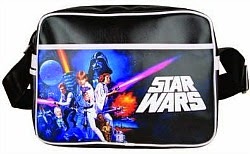 This is an ideal theme for sci-fi, film and TV, retro and 80s parties and events. 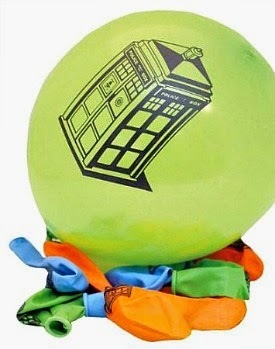 No retro party would be complete without balloons, and the official Dr. Who balloons are your safest bet to ensure a decent quality. Beware of very cheap balloons which often burst when you blow them up! You can buy these balloons from Amazon in both the UK and U.S., which is good news as the majority of readers of this blog are from both countries. This official party pack includes just about everything you need to create a fabulous table. Featuring daleks, cybermen and tardis graphics, it includes 8 X Party Cups, 8 X Party Plates, 16 Party Napkins, 1 Tablecloth 120 X 180cm, 1 Banner 15 X 198cm and a Pack of 10 Balloons. 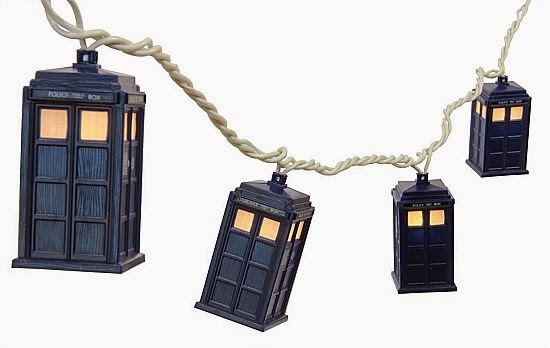 Once again, this official product is available both in the UK and U.S., but please note the item is sent from a company called Frugal Fairy based in the UK, so please allow plenty of time for delivery if you live in the U.S.
Now, these LED Tardis lights are are a fabulous idea and will be a great talking point at any party. Please note that if you live in the British Isles (like myself) the lights are sent from the U.S. and come with a 2 pin plug, so you will need an adapter for them, although these only cost £1.05 at Amazon. 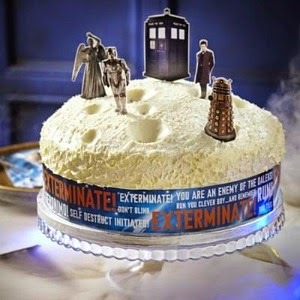 Every party needs a cake, and Lakeland produce a very cost-effective topper kit which includes seven items; Tardis, Angel, Dalek, the Doctor, K9, Cyberman & Clara. 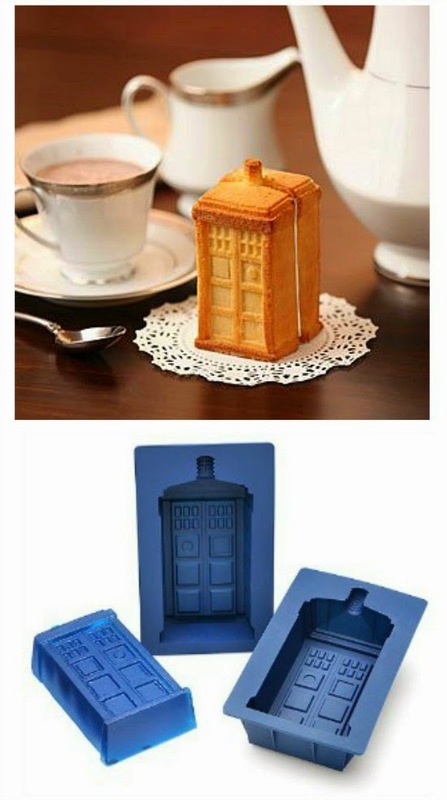 Being the useless cook that I am, just the thought of trying to create a cake shaped like a TARDIS has brought me out in a sweat! Thankfully, there is an easy solution in the form of a silicone mould. Now, that cake looks most impressive, but you'll need to eat it quickly, of course, before it disappears! If you watched Doctor Who back in the 1980s, then you can't fail to remember that the fifth Doctor (played by Peter Davison) had a costume style that was based on an Edwardian cricketer. It included a cream-coloured frock style coat, a V-neck cricket jumper, striped trousers, plimsoles and a panama hat. He also wore a celery stalk on his left lapel. If you're looking for a good costume idea for an 80s, sci-fi or film and TV themed party or event, then you'll be pleased to know that you can buy a complete fifth doctor costume from Rubies at Amazon.co.uk for a reasonably-priced £33 including free delivery. 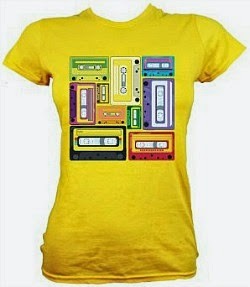 The outfit featured here is officially licensed and is available for sizes 38" to 42" chest. 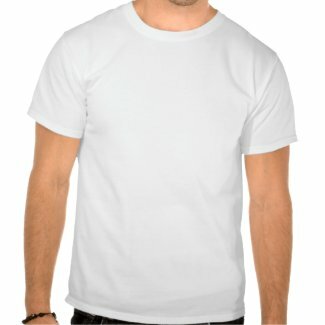 You can also choose a larger size for up to 46" chest. 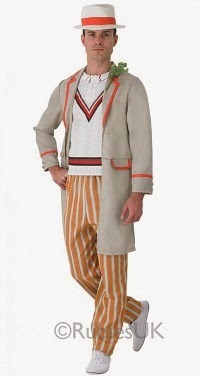 The costume includes a jacket with attached mock cricket jumper shirt, striped trousers and hat. 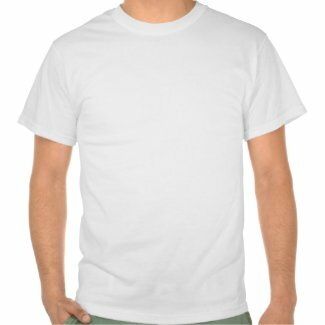 Add some white plimsolls to complete your look. You can also purchase an official BBC Peter Davison white cricket jumper for a really authentic look, although it will set you back £49.99. 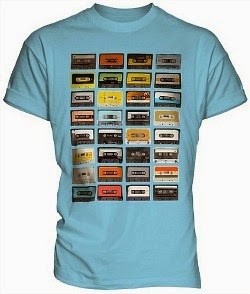 You can find a wide range of 80s fancy dress ideas at my website SimplyEighties.com. 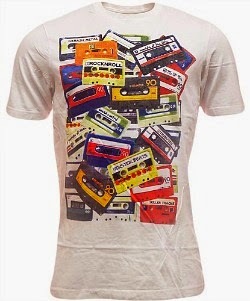 Anyone of a certain age will, no doubt, remember the Old Spice TV ads which were a regular feature on our TV screens from the 1960s to the 1980s. Indeed, I've just viewed an old advert from 1989 which was pretty simple, featuring a surfer riding the waves and ending with the slogan "The Mark of a Man". However, the ads shown before this were much longer and not only featured a surfer, but also included a dramatic and well known piece of music entitled "O Fortuna" from a classical choral piece called "Carmina Buran" compoised by Carl Orff. The first Old Spice products from Procter & Gamble were actually developed for women in 1937, and the men's products were launched in 1938. They have always been marketed with a nautical them and with that trademark sailing ship on the front of the bottle, although the ship used to be much larger as you can see in the picture above. 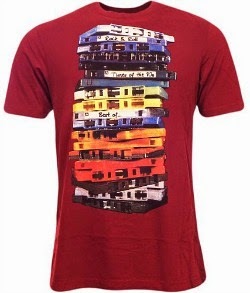 I'm not entirely sure what year that set is from, but they look very much like the design that was around in the 1960s and 70s. A number of different sailing ships have been used over the years. Old Spice has seen a resurgence in popularity in recent times and is now marketed as Old Spice Original and features a more modern sailing ship logo, but with the original buoy style bottles included in many sets. 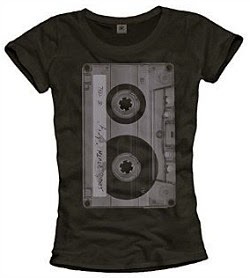 The font used is still old worldy but slightly less extravagant with less swirls as you can see below. Old Spice is now a popular choice with not only older men who want to relive their youth, but also with younger men who want to experience a cool, retro cinnamon fragrance. It is now also available as a shower gel, body spray and in many different gift sets, and also with newer smells such as Champion, Pure Sport, Lagoon and Whitewater. Personally, I still adore the comforting smell of the original product, although those different coloured fragrances shown above do look very tempting indeed! Brut Aftershave - Splash it all over! 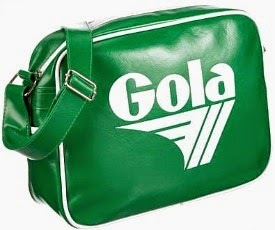 Just about every young lad had a sports bag of some kind during their school days back in the 70s and 80s. My Adidas bag was pretty well-used and, more often than not, contained items not relating to any kind of sport whatsoever. On some days my bag was crammed full of tupperware containing an array of ingredients for my cookery lesson, leaving little room for exercise books, stationary and my lunch box. However, I dreaded the day that P.E. lessons would take place on the same day as cookery class. 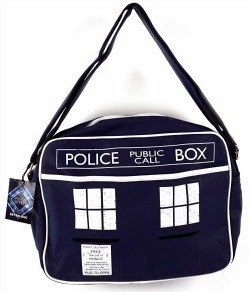 Somehow, I had to cram in my football kit as well, leaving the zipper on the bulging bag almost impossible to close-up! 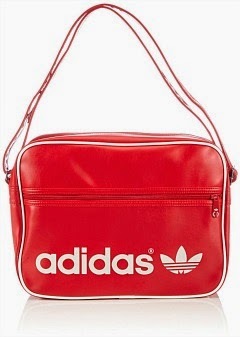 Retro style sports bags are a pretty cool item to own, and the first one featured here (by Adidas, obviously!) 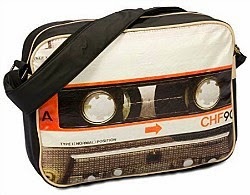 looks very much like one of the bags I owned back in the day. I actually went through many different sports bags and they took quite a battering let me tell you! Looking at this picture reminds me that I would have put all of my exercise books in the side pocket, well out of the way of my mud-covered football boots. That is, unless I was in a rush to get home from school. Then I would, no doubt, just cram everything into the main section of the bag as quickly as possible, leaving my once pristine exercise books with dog-eared pages and covered in half the playing field. 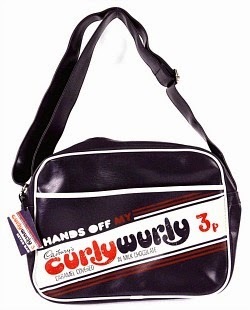 The bag featured here is available in three colours; red, blue and black with metallic gold lettering. There were a good many red and white bags around, I remember, due to the popularity of football teams such as Liverpool, Man United and Arsenal. I was an Aston Villa supporter, but claret and blue was, unfortunately, exceedingly difficult to come by. 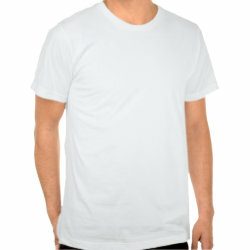 This is just a small example of the number of designs available. The zebra print and neon coloured bags are very 80s, and I particularly like the fourth bag which features an iconic design that was very popular in the 1970s and is also available in black and white. 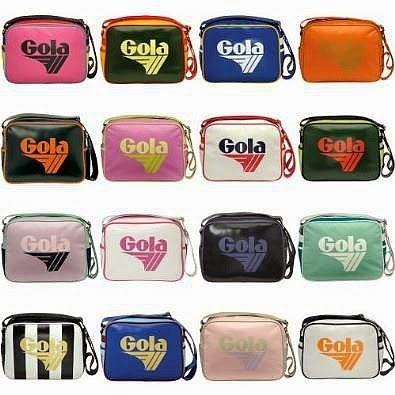 If you want to own an ultra cool retro bag then, it seems, Adidas and Gola are the most popular choice right now, and these are certainly two brands I remember the most from my own childhood. 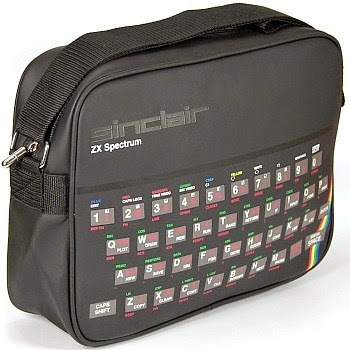 If you want your bag to really stand out from the crowd then this uber-cool bag featuring a ZX Spectrum keyboard design should fit the bill. It looks fantastic and is certainly a head-turner. For those of you too young to remember, the "speccy" as it was known was a British-built 8-bit computer that became hugely popular during the 1980s, selling around five million units in total. 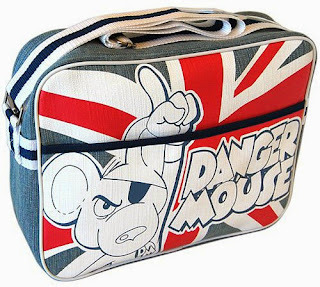 Danger Mouse was a truly British cartoon that was broadcast between 1982 and 1992 on ITV. I certainly remember watching it after a hard day at school, and it became one of my favourite cartoons. Unbelievably, at its peak 21 million viewers tuned in - that's phenomenal for a cartoon! No doubt, the voices of David Jason and Terry Scott helped to fuel its success. 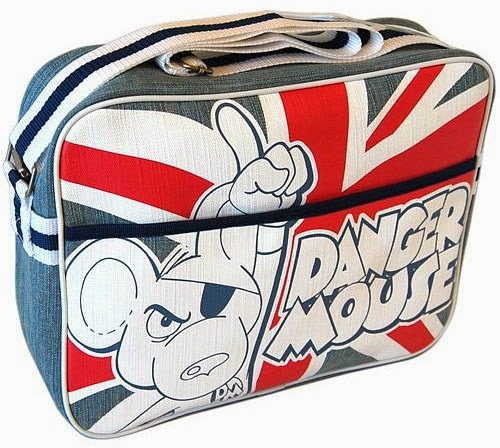 There are actually several designs of bag available, some of which feature Dangermouse's sidekick Penfold, and they are available as wash bags and flight bags, too.